VIpers Sports Club has added former Lweza captian and canter-back Ibrahim Kiyemba on their list of new acquisitions. This comes days after completing the capture of former Police FC captain Rahmat Ssenfuka who signed a three year deal. Kiyemba who can play anywhere in defence and can also anchor the midfield is believed to have put pen to paper on a three year deal which will keep him at Kitende until 2021. Ibrahim Kiyemba started his footballing career at Artland Katale before joining Lweza in 2012 in its struggle to join the top flight league a mission he eventually accomplished with the team in 2014. 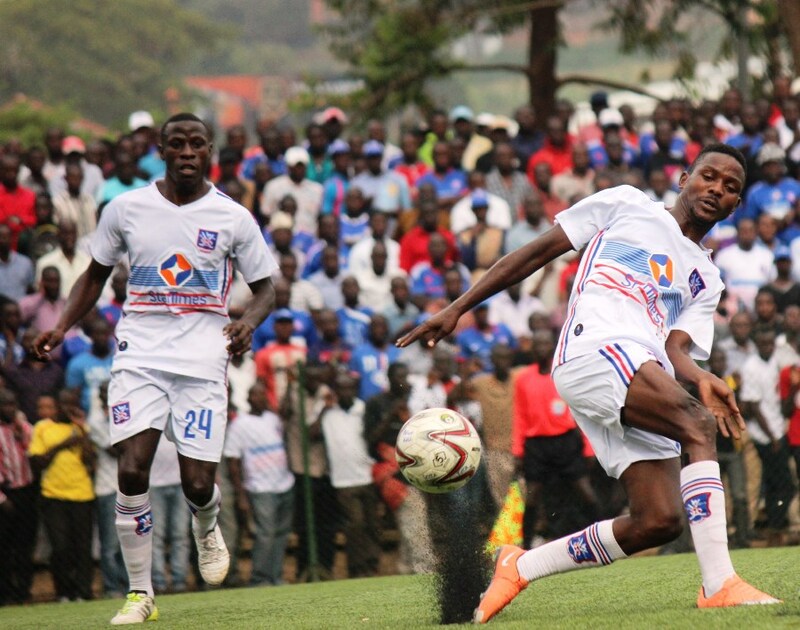 He played a key role as the Captain of Lweza for two consecutive seasons 2014/15 & 2015/16 with eye catching performances thus SC Villa signed him at the start of the 2016/17 season. His departure dealt Lweza a very big blow as it left yawning gaps within the team setup leading to their demotion to the big league a year after he left. During the 2017/18 mid-season transfer of players, he left the country for greener pastures in South Africa at Stellenbosch FC but the deal fell out due to unsuccessful negotiations between the two clubs. Following that setback, he decided to return home to relaunch his career and his preferred destination is at Vipers thus becoming the club’s third signing in readiness for the Cecafa club championship. Speaking after the move, Kiyemba couldn’t hide his delight to have signed for the Venoms. “Im happy to be here hence looking forward to step on the pitch for this winning club, said Kiyemba. “I have been out for a while now but always kept my self-fit and i can assure you am ready to go. When asked about the competition for places in the team, Kiyemba had this to say. “Vipers has good players but i am always ready to face competition because it pushes me ahead. Vipers now have five established Center-backs including Halid Lwaliwa, Shafick Bakaki, Geoffrey Wasswa and Bashir Asiku.